The National Association of Realtors (NAR) just released their latest Existing Home Sales Report on Friday. Sales of existing homes rose by the largest increase ever recorded as they rebounded 14.7% over November’s numbers and now stand at 7.7% higher than a year ago. While this is great news for the housing market, let’s take a look at one of the main reasons why there was such a large increase in sales. As we explained last month, the implementation of the “Know Before You Owe” (TRID) initiative delayed some closings, pushing a portion of November’s would-be transactions to close in December. 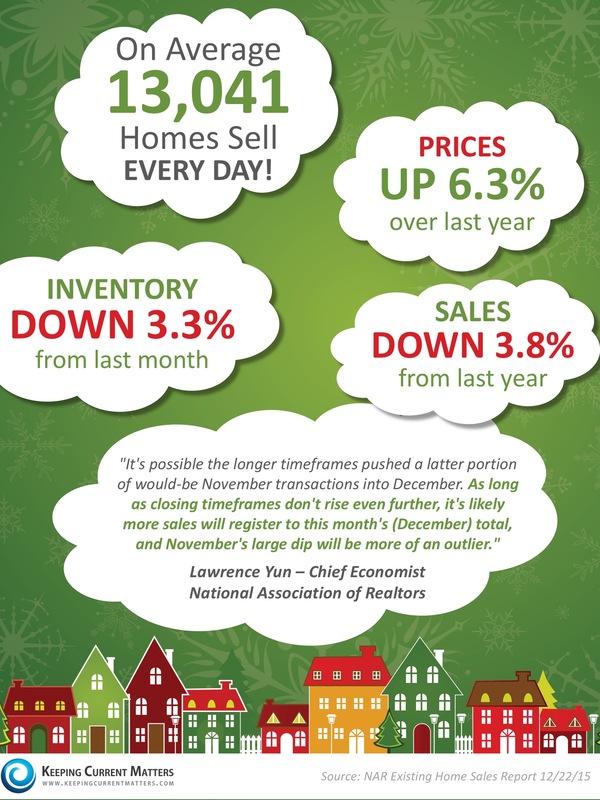 “December’s rebound in sales is reason for cautious optimism that the work to prepare for ‘Know Before You Owe’ is paying off,” says NAR PresidentTom Salomone. 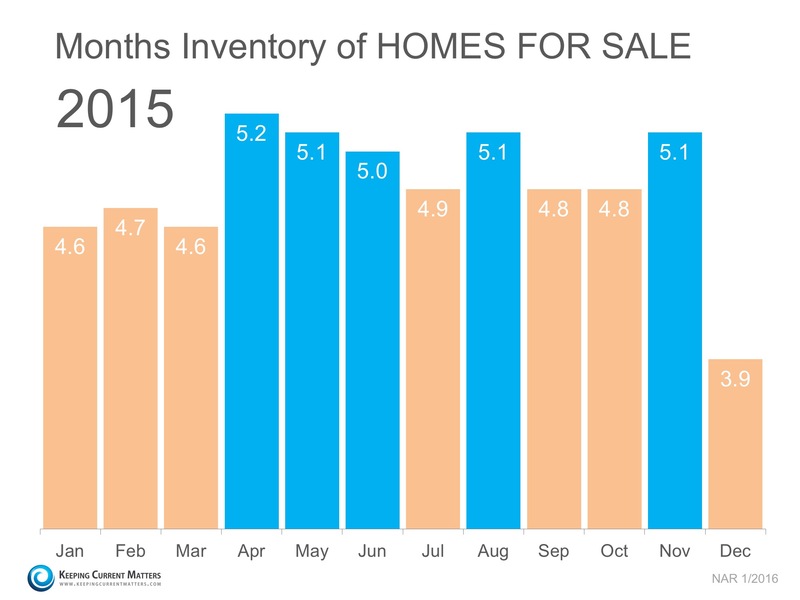 If you are considering listing your home for sale in 2016, now is the time! With inventory levels at their lowest mark in over 10 years, listing your home for sale now will give you the most exposure to buyers and allow you to get the best price for your home.